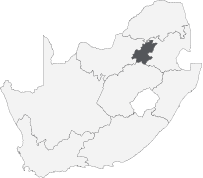 Heidelberg Mall is located adjacent to the off ramp from the N3 highway turning from the town of Heidelberg, which is approximately 50 kilometres south-east of Johannesburg. The shopping centre is positioned midway between the suburb of Bergsig and the Heidelberg CBD on the corner of Groenfontein Road and Jacobs Road. The centre is anchored by Woolworths, Checkers and Game. Other National tenants include FNB, Sheet Street, Game Liquor, Absa ATM, Capitec Bank, Standard Bank ATM, Nedbank ATM, Dischem, Rage, Verimark, Mugg & Bean, Ackermans, Contempo, Identity, Truworths, American Swiss, Jam Clothing, Foschini, Vodacom, MTN, Wimpy, Sleep Masters, Clicks, Cell C, Old Mutual, Checkers Liquor, King Pie, Sausage Saloon, PostNet, Debonairs, Steers, Fishaways, Pep, The Crazy Store, Bargain Books, Mr Price Home, Pep Home, Fashion World, Mr Price Sport, Studio 88, Pandora, Beaver Canoe, Sorbet, Cape Union Mart, Markham, Pick n Pay Clothing, PNA, Tekkie Town, Sportscene and Old Khaki.